We looked at the top 10 Espresso Machines and dug through the reviews from 78 of the most popular review sites including Tech Gear Lab, Coffee Dorks, Digital Trends, BestReviews, CNET, Consumer Reports and more. The result is a ranking of the best Espresso Machines. Our experts reviewed the top 10 Espresso Machines and also dug through the reviews from 78 of the most popular review sites including Tech Gear Lab, Coffee Dorks, Digital Trends, BestReviews, CNET, Consumer Reports and more. The result is a ranking of the best of the best Espresso Machines. If you're new to espresso makers or simply want a machine that's easy to use, the No. 1 overall pick Breville Infuser Espresso Machine may be right for you. You'll get delicious tasting coffee, thanks to a process that gradually separates coffee grounds at the start of brewing. It also includes a built-in steam wand to recreate the beautiful latte art you see at your favorite coffee shop. DWYM Kitchen Experts plus New York Times Wirecutter, Top Ten Reviews and 1 more. Along with user reviews from Amazon and Walmart.
" It has a user-friendly design (with ample labeling and easy-to-read instructions), and comes with the basic accessories that you need to get started." "It is equipped with 360-degree motion steam wand, but you will need to experiment a bit with it to get the results you want"
This Breville model has a slight learning curve, but its brewing process does keep your coffee at the perfect temperature. The built-in steam wand is designed to draw in air to boost your latte art. You can also control the shot volume in your espressos by tapping a button either once or twice. DWYM Kitchen Experts plus CNET, Digital Trends, The Spruce Eats, Tech Gear Lab, Coffee Dorks, BestReviews and 1 more. Along with user reviews from Amazon, Best Buy and Walmart.
" To make life easier, ground coffee drops directly into the Barista Express' steel portafilter." "Breville’s Barista Express is pricey but worth it." One-touch coffee and an easy-to-read display make the Saeco Intelia Espresso Machine great for any kitchen. Though it's the priciest of the machines, it may be worth the extra expense since it cleans itself after every use. The ceramic grinder also ensures consistent coffee quality each time. However, you'll need to avoid using oily beans with this model. DWYM Kitchen Experts plus BestReviews, Coffee Dorks and 1 more. Along with user reviews from Amazon, Best Buy and Walmart.
" The machine does most of the prep and clean-up work for you." "Be careful not to use oily beans as they can be a problem for the grinder." Beginners will love the DeLonghi Pump Espresso Machine, which builds in easy-to-use features at a bargain price. The compact size of this espresso maker makes it a great fit for any kitchen. Unlike many other espresso machines, you can use convenient pods with this model. DWYM Kitchen Experts plus CNET, BestReviews, Coffee Dorks, Consumer Reports and 1 more. Along with user reviews from Amazon, Best Buy and Walmart.
" I found the EC155 Pump Espresso's few controls easy enough to use." "Not quite as many bells and whistles as the Breville." We identified the majority of the espresso machines available to purchase. 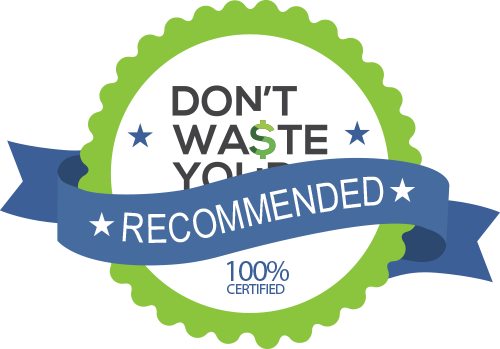 Reviews from our DWYM category experts and analysis of some of the most respected sources including: Tech Gear Lab, Coffee Dorks, Digital Trends, BestReviews, CNET. It has a user-friendly design (with ample labeling and easy-to-read instructions), and comes with the basic accessories that you need to get started. This espresso machine has an auto-shutoff feature, which turns the machine off after a period of inactivity, making it both energy efficient and safe. I found the EC155 Pump Espresso's few controls easy enough to use. This is a seriously nice looking bit of kitchen kit, fusing both black metal and plastic together stylishly with silver colored accents. A great choice for espresso "beginners." It has a self-priming feature that makes it quick and easy to use – it can push out a couple of cups of coffee in a couple of minutes. Equipped with a small vibratory pump instead of the massive rotary pump mechanisms you'll find inside elite commercial and even domestic machines, the EC155 lacks the oomph to push hot water through very fine coffee grounds. A few minor niggles about the level of the milk steam arm being slightly inconvenient to use aside, there isn’t too much to put us off choosing this machine, as the best bet for the under $100 buy. It’s also not the right option if you want to also be able to make plain old filter coffee. A good cup of coffee goes beyond merely helping you wake up in the morning. For many, it’s an indulgence. Whether you rush through the Starbucks drive-thru on the way to work or meet up with friends once a week at your favorite indie coffee shop, few things can compare to the taste of a freshly-brewed gourmet cup of coffee. But high-end coffee doesn’t have to come from a café. There are now espresso machines on the market that will brew up that perfect cup of coffee in your very own kitchen. But espresso machines vary just as much in features as they do in price. It can feel overwhelming as you read up on these seemingly complicated machines, but they’re generally built to be easy to use. One thing to think about as you consider espresso machines is whether you want the beautiful latte art you see at your favorite coffee shop. The key to creating hearts and other random shapes is in the steam wand, which you can buy separately. However, some espresso makers include an attached wand, which will keep it all in one place. You’ll still need to practice to keep up with professionals, but at least you’ll have the tools necessary to get started. Price is also a consideration. You can find a bare-bones espresso machine for less than $100 or splurge on a top-of-the-line model for more than $1,000. The goal should be to find the espresso maker that fits your own preferences and decide if the extras are worth spending more. Among the features that are most important to coffee lovers is the ability to control the beverage that comes out. Some machines will allow you to adjust the strength of the shot in each cup, while others build in temperature control to give you precisely the warmth you need. If you want to make specialized drinks like cappuccinos and macchiatos, you’ll need to look for a machine that offers that feature as well. Once you’ve squared away the functionality of an appliance, you’ll need to think about how it fits with your own home décor. In general, espresso makers can be fairly large, so make sure you measure the counter space and choose one that fits. You should also consider the color and style of the espresso machine and select a model that matches your existing design aesthetic. After you’ve taken all these factors into consideration, you’ll be able to narrow it down to the perfect espresso maker to fit your own needs. Espresso is an Italian word meaning “pressed out.” It’s an apt word for the drink since it’s created by forcing extremely hot water through coffee grounds. It was first discovered in the early 1900s by an Italian businessman named Luigi Bezzera, who was trying to find a way to speed up the process of making coffee. By adding steam pressure to his coffeepot, he learned that not only could he get caffeine in his system faster in the morning, but he also found that he enjoyed the taste. The express coffeepot was patented in 1905 by another businessman, who purchased the rights to Bezzera’s invention. Espresso machines can require a bit of a learning curve, especially if you’re used to one-cup coffeemakers. But there are some machines that are better for novices. The Breville Infuser Espresso Machine is set up to be easy to use, with clear labeling for each button and instructions that are easy to read. The Philips Saeco Intelia Espresso Machine provides one-touch coffee and an LED panel display that walks you through the process. The DeLonghi Pump Espresso Machine is designed for beginners, with a self-priming feature that offers coffee at the press of a button. The Breville Barista Espresso Machine is a bit tougher to use, so you may need to keep the user manual close by while you get the hang of things. The feature that makes the biggest difference is one you likely won’t see. Behind the scenes, your espresso maker will use a unique setup to provide delicious coffee. With the Breville Infuser Espresso Machine, low water pressure at the very start of the cycle ensures that grounds expand slowly, providing even extraction for better results. The Breville Barista Espresso Machine has a purge function to automatically adjust the water temperature. This ensures that when the espresso is extracted, it’s at the perfect temperature. The Philips Saeco Intelia Espresso Machine has a carafe that froths milk twice before pouring it into your cup at the perfect temperature. Unlike a basic coffee maker, you’ll need a few accessories to make delicious-tasting espresso. The Breville Infuser Espresso Machine has everything you’ll need outside of cups and ingredients. Included in the box are a coffee scoop, cleaning discs and tablets, a cleaning tool and a water filter. One important element in making beautiful café-style beverages is the steam wand. The Breville Infuser Espresso Machine and Breville Barista Espresso Machine both have steam wands built in. You can start practicing your latte art right away. It’s important to note that the velvety texture you find at cafés doesn’t come easily. The Breville Barista Espresso Machine builds special technology into its steam wand to draw in air, creating bubbles. This is essential to helping you create latte art fit for your Instagram feed. If your espresso machine of choice doesn’t come with a steam wand, never fear. You can buy one separately for less than $20. If you own a coffeepot already, you know the convenience of auto shut-off. The Breville Infuser Espresso Machine goes into sleep mode after one hour of inactivity, then automatically powers off after three hours. Chances are, you don’t want to waste valuable time cleaning your machine every morning. The Philips Saeco Intelia Espresso Machine cleans itself after every use. For those deeper periodic cleanings, you can remove the brewing chamber and run it directly under a faucet. Sometimes you need a stronger shot than others. The Breville Barista Espresso Machine lets you program the shot volume and choose between one or two cups at the touch of a button. With the Philips Saeco Intelia Espresso Machine, simply push a button twice in a row to get twice the volume. It features five different settings that include allowing you to adjust the temperature of your beverage. 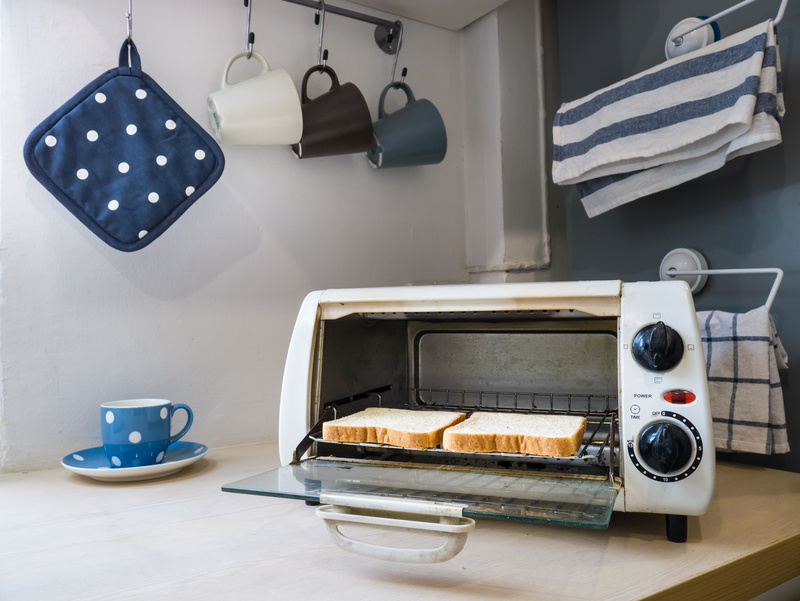 Although the delicious concoctions you’ll make are the most important thing, this is an appliance that will become an important part of your kitchen aesthetic. One big benefit of the Breville Infuser Espresso Machine is that it comes in three colors: stainless steel with black, stainless steel with cranberry red and full stainless steel. The Breville Barista Espresso Machine is stainless steel, while the Philips Saeco Intelia Espresso Machine and DeLonghi Pump Espresso Machine combine stainless steel and black. Counter space is probably a concern, especially since any espresso machine you buy will take up more space than a traditional coffeepot. The Philips Saeco Intelia Espresso Machine is the biggest, at 17.44 x 12.46 x 21.5 inches. The DeLonghi Pump Espresso Machine will take up the least counter space, measuring only 8 x 10 x 11 inches. Make sure you measure the space before you buy and find the appliance that works best for your own kitchen. Cost can vary dramatically from one espresso machine to another. If you’re more of a beginner, you may choose to go with the DeLonghi Pump Espresso Machine, which you can find for less than $100. However, if you’re ready to get serious, the over-$1,000 Philips Saeco Intelia Espresso Machine may be more your speed. The Breville Infuser Espresso Machine and Breville Barista Espresso Machine split the difference, typically retailing within the $400-$600 range. The key to truly delicious coffee is the freshness of the beans. You can purchase a separate coffee grinder, but that takes up additional counter space and costs extra. The Breville Barista Espresso Machine’s built-in coffee grinder delivers the perfect amount of grounds to the portafilter to make sure you have a fresh cup each time. With the Philips Saeco Intelia Espresso Machine, you’ll get a ceramic grinder, which allows the water to run through the grounds at a steady pace for consistent quality. With the Philips Saeco model, though, you’ll need to steer clear of oily beans since the grinder doesn’t handle them well. Although its low price makes it attractive, the DeLonghi Pump Espresso Machine struggles to push water through finer coffee grounds. It also has fewer features than higher-priced machines, but it may be worth it for the cost savings. You don’t have to be a master chef to make delicious coffee. The Breville Infuser Espresso Machine and Breville Barista Espresso Machine both use temperature control technology to make sure every brew is just right. The Philips Saeco Intelia Espresso Machine lets you choose between temperatures, then save your preferences to use the next time. The DeLonghi Pump Espresso Machine has two thermostats that work together to keep water and steam pressure under control. Think beyond espressos and lattes. Using the Philips Saeco Intelia Espresso Machine, you can make cappuccinos, macchiatos and more. If you want the convenience of pod-based coffee, consider the DeLonghi Pump Espresso Machine, which lets you use either grounds or pods with its specialized filter holder. For the Espresso Machine category, we analyzed 78 of the most popular reviews including reviews from Tech Gear Lab, Coffee Dorks, Digital Trends, BestReviews, CNET, Consumer Reports and more. The result is a ranking of the best Espresso Machines.